Before you upload photos, please check the AGP website to make sure we do not already have the photo. If we do, and your photo is more clear and readable, upload the photo and in the Comments Section note in capital letters: "THIS IS A DUPLICATE PHOTO", and the County Coordinator will combine the data and keep the best photo. Photographs submitted and archived on the Arkansas Gravestones web site should be copies of your originals --- either digitized (scanned) copies of emulsion prints or digital images. Photographs must never be downloaded from another web site then uploaded to Arkansas Gravestones. Duplicate submissions of photographs will undoubtedly occur. A member of the Administrative team (County Coordinator, District Coordinator, Division Coordinator, or State Coordinator) for the web site will consolidate the biographical information submitted in duplicate records, and select the photograph with the best clarity and composition for placement on the website. After uploading a photograph use the drop down menu for "associating" more than one name with the photograph. Up to 10 names can be inserted; if there are more than 10 names, upload the photograph again and insert the additional names. Posting the names of clearly or possibly still living persons is not an acceptable practice of the Arkansas Gravestones Project. We often find gravestones on which only the person’s name and date of birth are engraved; thus, the inclusion of these in the database must be done only if documentation regarding the person’s death can be found such as in an obituary or on the Social Security Death Index. (Notation about the source of information should appear in the comments for that person’s record.) Common sense must dictate our actions in such cases where, for example, the person was born more than a century ago; however, because of extended life expectancies it is not uncommon to hear or read about persons who lived more than 100 years. On shared gravestones, for example those for husband and wife, we commonly find that only one of the spouses is deceased. 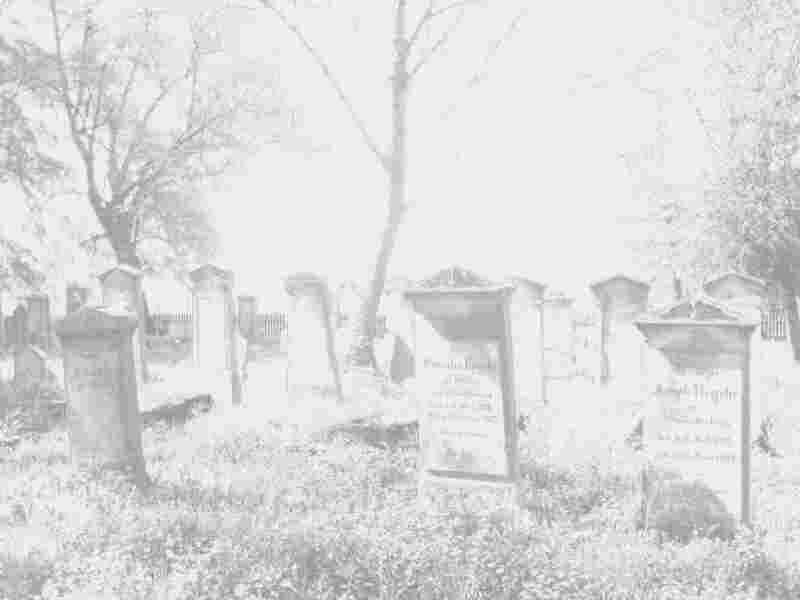 The photograph of the entire gravestone should be submitted; however, only the name of the deceased person should be submitted with the photograph. Acknowledging the service of our veterans is accomplished easily in the records for these persons by placing notation regarding their service on the surname in-put line following the name. This, then, becomes a searchable component of the data base, state-wide, by county, or by cemetery. (Please refer to the list of recommended notations on the page entitled, “Notation for Veterans”) If you are interested in seeing the current list of veterans state-wide, go to the Arkansas Gravestones home page, select “Search Gravestones” from the center column, on the next page leave the “All Arkansas Counties” and “surname” defaults and select “contains” in the third drop-down, insert the word, veteran, in the fourth (blank) search criterion block, and click the submit button. First time submitters often ask, "My posts don't show up immediately what is wrong?" -- All submissions remain on “hold” status until a County Coordinator or State Coordinator approves them for archival. Please ... when you are out graving... take along a notebook or ledger for recording names, dates and other information. Another approach might be to carry a small voice recording device (a dictaphone, for example) to record your field notes. This biographical information is often needed for completing the comments because sometimes when the software resizes the photograph during the uploading process the dates and other data becomes illegible. You should never use anything that becomes embedded in the stone or otherwise alters the chemistry of the stone, to enhance the lettering. For example, you should never use a pencil, magic marker or other chemical marker, or hard chalk for this purpose. Although the practice is not universally accepted, many have found children’s sidewalk chalk to be a useful tool because it is water soluble and is readily washed away with rain water or you may spray the stone with water yourself. Look at the helpful links page for the Association for Gravestones studies for more information. 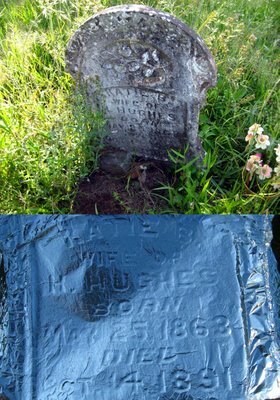 The example of the use of aluminum foil to capture an inscription on a difficult to read gravestone (see below) was supplied by Dennis Earle McAlister. This method is non-invasive, just press lightly with your fingers, sponge, or soft brush. ---Use of a mirror to shine its reflection from an angle to highlight an inscription. ---Carry a spray water bottle to spray a hard-to-read stone with water. Submission of photographs of military markers in addition to photographs of these persons’ civilian markers is very appropriate and encouraged. Family Stones are often used to mark the graves of several persons from the same family or family group. Each individual’s name may be inscribed on the large stone or their names with dates of birth and death may appear on separate footstones. Submission of photographs of the footstones is appropriate, of course. However, in situations where the inscriptions for the individuals are difficult to read, each person’s name may be included in the comments associated with the family stone, and then close-ups showing the names and dates of birth and death for each individual may also be submitted. In some cases an overall photo of an especially large gravestone is needed and a second close-up photo of the inscription is a necessary, purposeful duplication. For a variety of reasons we ask submitters not to cite the web site, “Find A Grave,” as the source for biographical information included in the comments for a submission. On the other hand, it is very appropriate to site sources such as newspaper articles including obituaries, family Bible records and other genealogical sources. If a funeral home marker is the only thing available for you to document an interment, by all means submit a photograph of the marker. Our goal is to document interments irrespective of the type of marker. There are some, perhaps many, graves for which the funeral home marker will be the only marker that will ever mark the grave. If during a subsequent visit to a cemetery you discover that an inscribed marker has replaced a funeral home marker, the photograph originally submitted can be easily replaced by the County Coordinator.